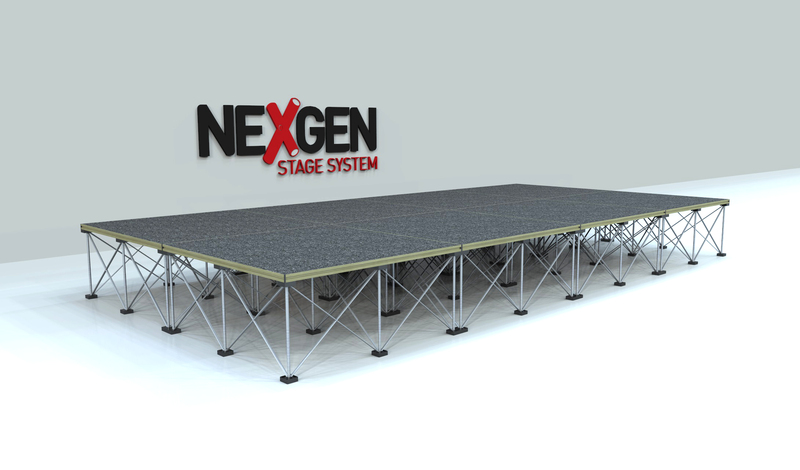 Ramps are an essential part of today’s access onto portable staging. There are a few on the market. 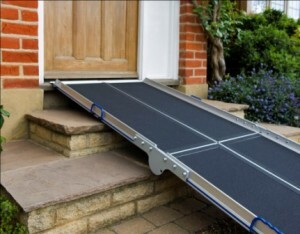 Enable Access offer a fold-able ramp available through distributors. This is 2.4m long and 760mm wide, but it can be folded up into half the length so it can be easily transported. 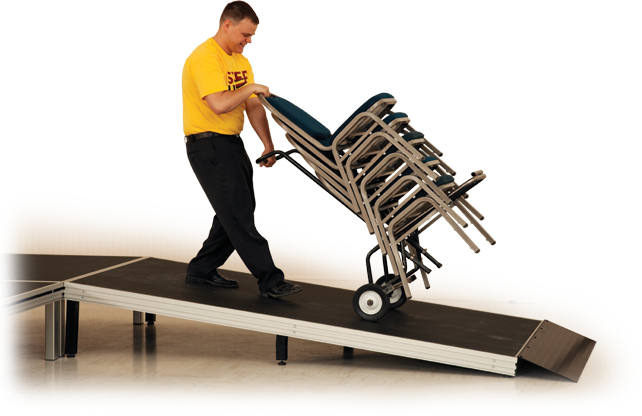 Fold-able ramps are usually more expensive, but offer greater flexibility. There are also a few that can be adjusted to fit staging brands, its best to consult your staging supplier, as they will have researched the best solution for their product. The facts to consider when buying a ramp are, they incline, which is generally broken down into a couple of categories. Aided Access, and Unaided Access. Aided access is where a chair user requires some help with the incline as its steep. Unaided is of course them being able to handle the incline themselves. An incline such as 1 in 15 is deemed an unaided access. The higher the number the better for the chair user, however this will of course have an impact on the overall length of the ramp. Be sure to buy a ramp which is at least 700mm wide, preferably with side plate barriers. If you found this article useful, please leave us a comment.